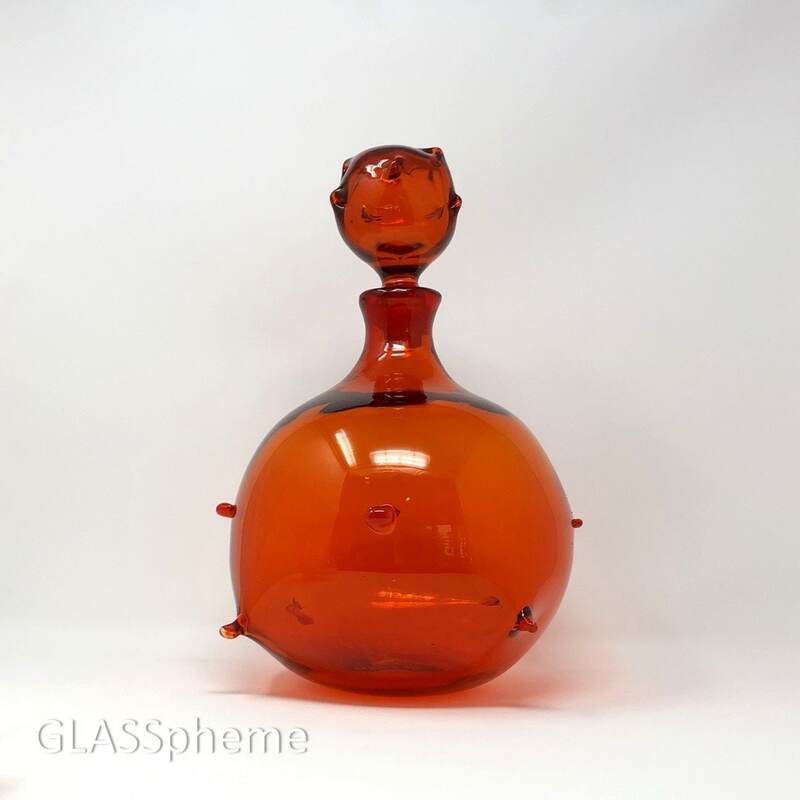 Behold this massive fiery atomic orange Blenko glass oddity--the super rare* one year only (1959) #5912 decanter by Wayne Husted! But DAMN—is this piece GORGEOUS! 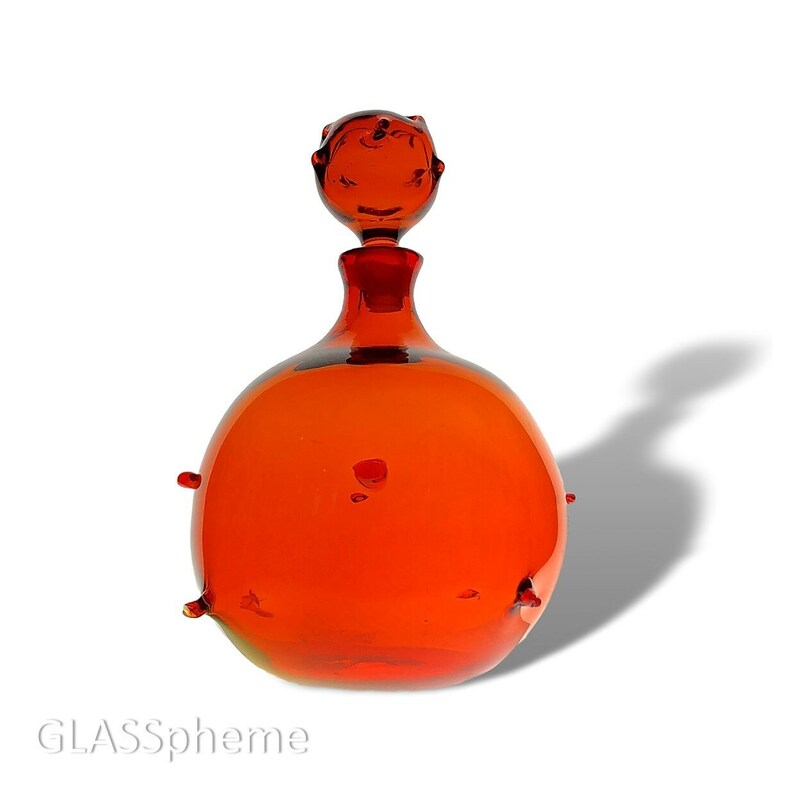 Firstly, the nicely bulbous form in both the body and the stopper create a pleasing symmetry that other examples in this design can lack. 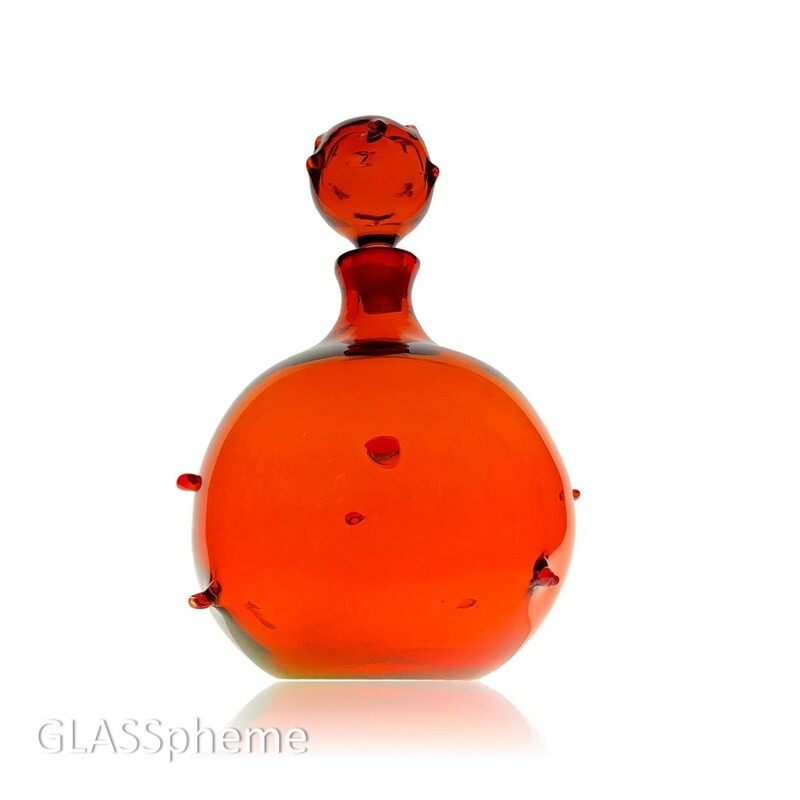 Secondly, this deep orange uniformly colored Tangerine (Blenko’s version of amberina) sports remarkable clarity (note the back-lit photos) and is probably the most gorgeous Blenko tangerine I’ve ever seen. And the condition of this beauty is remarkable given its years. While there are some isolated areas of light interior staining, the clarity remains remarkable and the deep color makes them undetectable on display or without strong direct light. Slight roughness can be felt on one of the pulled points but no visible damage. 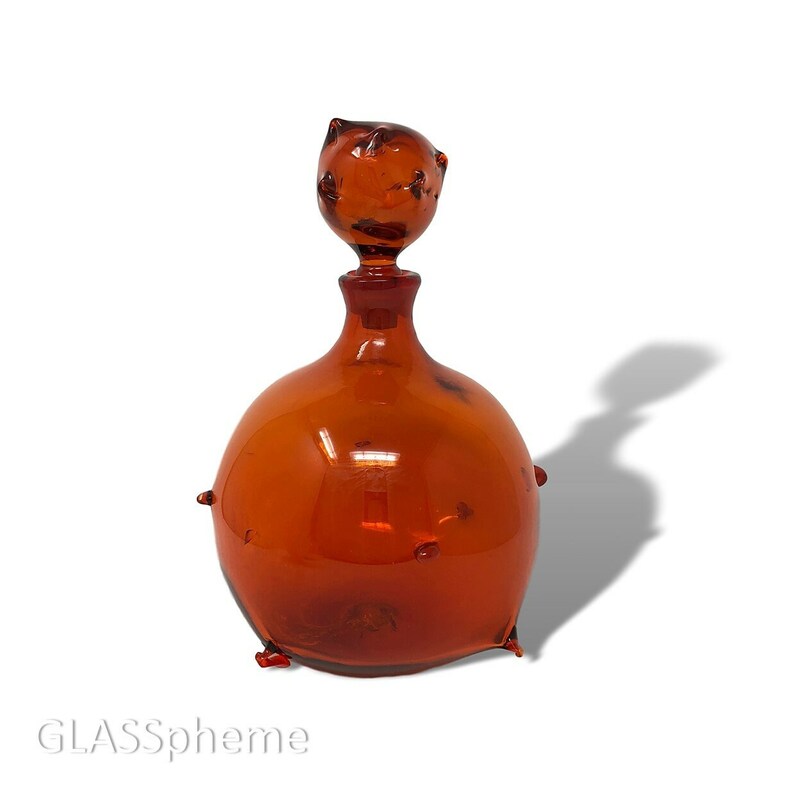 *You’ll notice how easily sellers tack the word RARE onto even the most common Blenko pieces, so when GLASSpheme says RARE (in this case, FREAKIN’ SUPER RARE), we back it up: Only NINE of these decanters (properly identified and undamaged with their original stoppers) were sold on eBay or in other online auctions over the past decade!